HONORING OUR VETERANS DURING VETERANS DAY. Thank you for your service. Today, we are happy to announce the launch of our new website, built on a completely new platform! A few exciting additions will be our new online Viper Club store, and event’s manager. Please bear with us as we make the final touches to our new home. 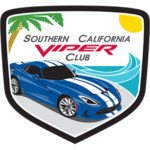 © Copyright 2012 - | Southern California Viper Club by AlFa Dynamics | All Rights Reserved | Start Pro Package Website Today! This is an event you won't want to miss!